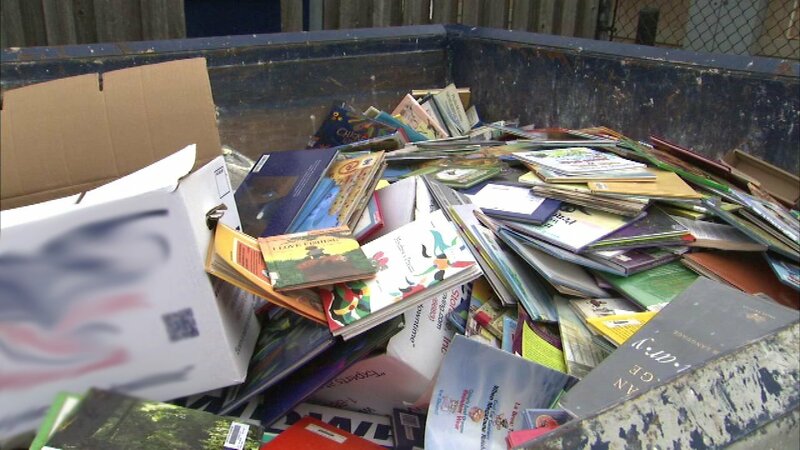 CHICAGO (WLS) -- A dumpster filled with books was discovered behind a Chicago Public School Friday in Chicago's Washington Heights neighborhood. Community members said the books, found outside Kipling Elementary School in the 9300-block of South Lowe Avenue, were in good condition. CPS said the books were thrown away because they were outdated or in poor condition, and no longer fit for classroom use. "CPS is focused on ensuring students have access to age-appropriate, relevant reading materials that will enrich their academic experience," said a CPS official in a statement. CPS said the books were disposed of properly.